The waiter is doing overtime to meet the cost of his daughter surgery. "Baby Masarat never had a normal childhood. 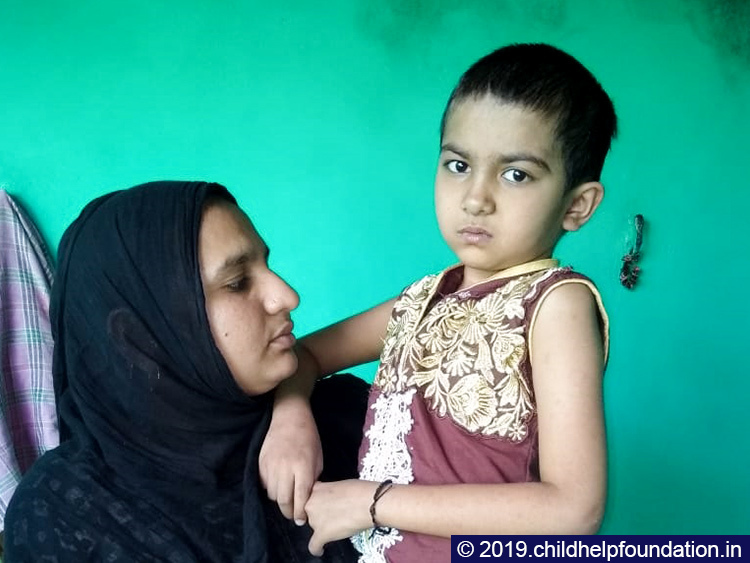 While other children of her age were enjoying their childhood, Masarat needs to undergo brain surgery in the year 2013 due to fluid accumulation in her brain. Later she needs to undergo various observation and treatments. Further, she was diagnosed with a defect in her heart and her condition is only getting worse day-by-day." Masarat is a 7-year-old girl from Palam, Parbhani. Since she was a five-year-old, she was falling sick every single day. Masarat further started facing a problem of asthmatic, rapid breathing and shows symptoms of pale grey or blue skin color. 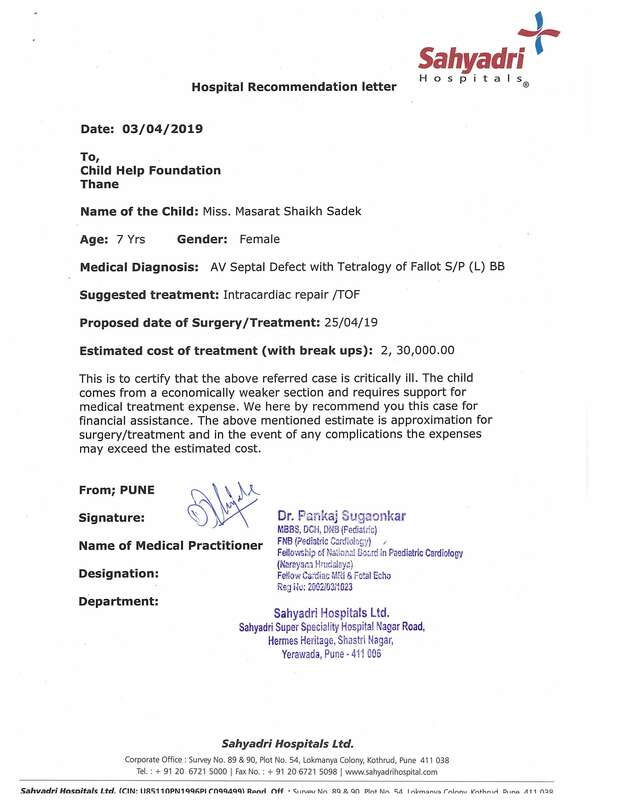 Her parents did not understand what was exactly wrong with their daughter until the doctor pointed out that, she is suffering from AV Septal Defect with Tetralogy of Fallots. This condition occurs when there's a hole between the heart's chambers and problems with the valves, that regulate blood flow in the heart. 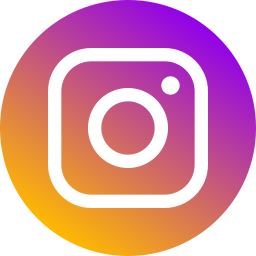 For the past two years, they have liquidated all our savings. 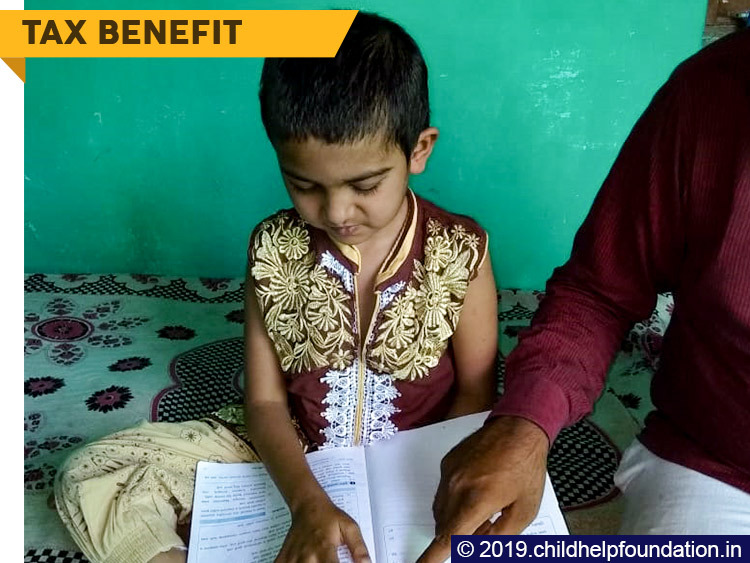 Sadeek (Father) work as a waiter on daily wages and do overtime to meet the amount for his daughter medication and surgery. He is the sole breadwinner of his family and need another Rs. 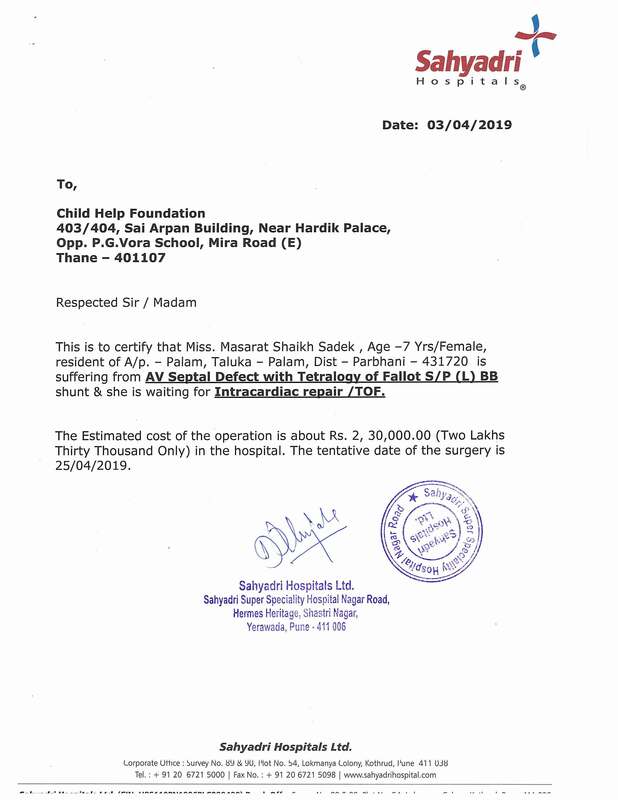 2,30,000/- (Two Lakh Thirty Thousand Only) for her surgery - they don’t know how they are going to arrange such a huge amount without any help. Your contribution to their journey. 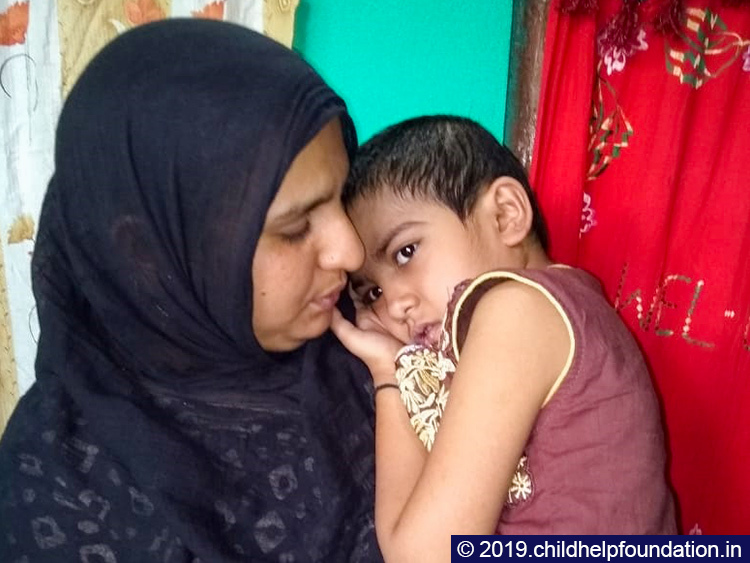 Baby Masarat has been suffering from a heart defect and needs to undergo intracardiac repair to get a cure for this disease. She needs urgent treatment for her survival but her parents are struggling to accumulate the amount. Your small act of kindness can help Baby Masarat to lead a healthy and fruitful life. 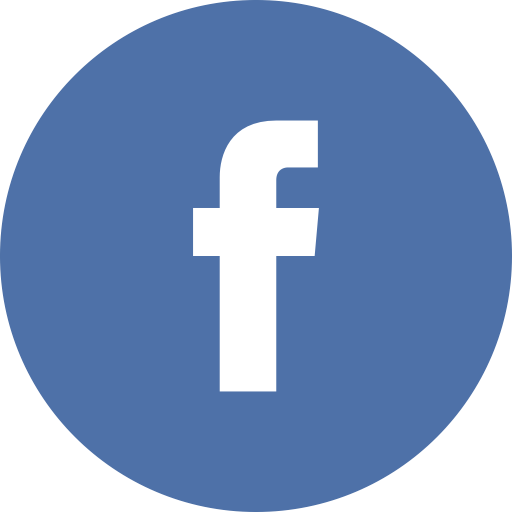 Your sharing will reflect your caring for Baby Masarat.